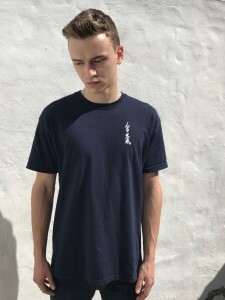 Made from a high quality material this is the first Aikido Shoshinkan brand printed T-shirt. 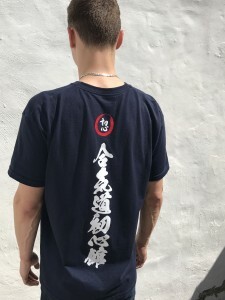 The T-shirt is only available in Navy With a caligraphy print and our club “Shoshin” (means : Beginners Mind) logo print under the collar. On the front it has our Aikido Shudokan organisation “Aiki” logo print at the front. Available in the following sizes (S, M, L, XL) Please specify the sizes upon ordering.